LYATT 350. The core programme. 9 modules over 13 months. 36 full days training: €3,950. Early bird by September 30th, 2018: €3,600. Payment plan available. ‘Lisa’s teacher training workshops were a relevation. I still remember walking out of my first workshop and feeling as if I was floating. 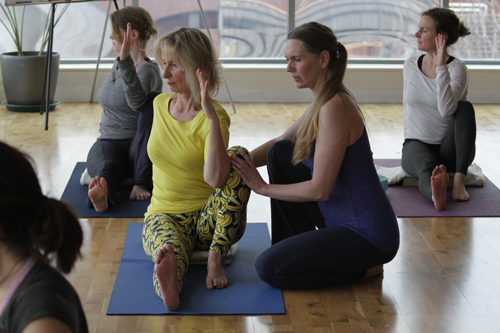 Working with her and her wonderful teaching assistants has totally re-defined how I think about Yoga and made me feel so much more at home in my own body’. ‘This training has been life changing. It has given me the tools I need to dive deeper into myself. Each module was so rich and deep; each building and interweaving beautifully with the other. I am changed. This work penetrates your soul, it’s that deep. If you are even a little bit curious about who you are, how you move, and what you are capable of, this training is for you. It’s an amazing gift’. Need more information? What to do next…. Contact our Training Co-ordinator Áine at [email protected] with any questions. We are happy to organise a phone call to answer your individual queries, help you plan your training or customise your learning. Please request our logistics document for suggestions relating to travel, subsistence and accommodation. Once you’re ready, request an application form and submit it with your deposit payment in the link above. We’ll get back to you within two weeks of receiving your form. Upon acceptance, you’ll receive a welcome pack, reading list and full payment details. We’ll refund your deposit if you are not eligible and if possible try and help you find a more suitable course. Want to have an experience of the practice? Check out Lisa’s sample online classes on ekhartyoga.com. Check the website, join the Living Yoga Facebook page, or sign up to our newsletter for up-to-date news on events in your locality and to hear about all the other goodies on offer. Scroll down for module descriptions, logistics, practicalities, fees, eligibility, certification, accreditation and assessment information. What is experiential anatomy? What is embodiment? What does it mean to befriend our breath and how can it help us? What does it mean to embody fluids in a yoga practice and how can they help us? How do we connect and move from our core? What does it mean to be organ-ized in a yoga practice and how can it help us? What does it mean to embody bones in a yoga practice and how can they help us? How do the feet, hands, arms and legs relate to the spine and to each other? 10.00-13.00 and 14.30-17.30 each day with the addition of a supervised practice from 08.00-09.30 on days 2 to the last day on all modules. Modules 6 and 8 (Skeletal Body 2 and Muscular and Connective Body 2) are the exception. They run over 5 days starting at 14.30 on the first day and ending at 13.00 on the last day. We ask for a deposit of €500 to secure your place. Please submit your deposit payment at the same time as your application form. We’ll refund you if you aren’t eligible. Contact Áine at [email protected] if you wish to avail of our payment plan options. Course fees include all tuition and assessment, mentoring and module manuals. They do not include travel, accommodation or food. 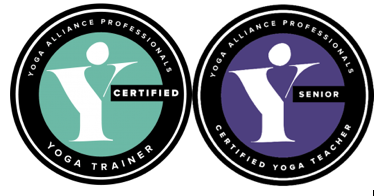 The 350 hour 9 core module training is accredited with Yoga Alliance Professionals (YAP). Please note that accreditation with YAP for this 350-hour course is only available to qualified Yoga teachers who already have a basic 200 hour qualification and who complete the full 350 hours of this course in one or more iterations. We ask you to complete an interim self-reflection paper and a class presentation in Module 9. The LYATT 350 constitutes 36 full days training which includes 259 contact hours and 91 non-contact hours. The non-contact hours include home practice, study buddy sessions, review and consolidation of class materials. We will ask you to keep a learning log or home practice journal to help record your practice. Under our terms and conditions with YAP, we will ask you if you are willing for us to share your contact details with them. This is so that they can invite you to register with them as a trainee and a teacher. This is not an obligation of any kind.